I love plums. Ripe delicious plums that is. Unripe plums can kindly stay out of my life and mouth until they are ready. I fell in love with plums as a kid. We always used to take them to the beach. Along with p.b. & j sandwiches, Twinkies, and black cherry Shasta….all delicious beach foods. 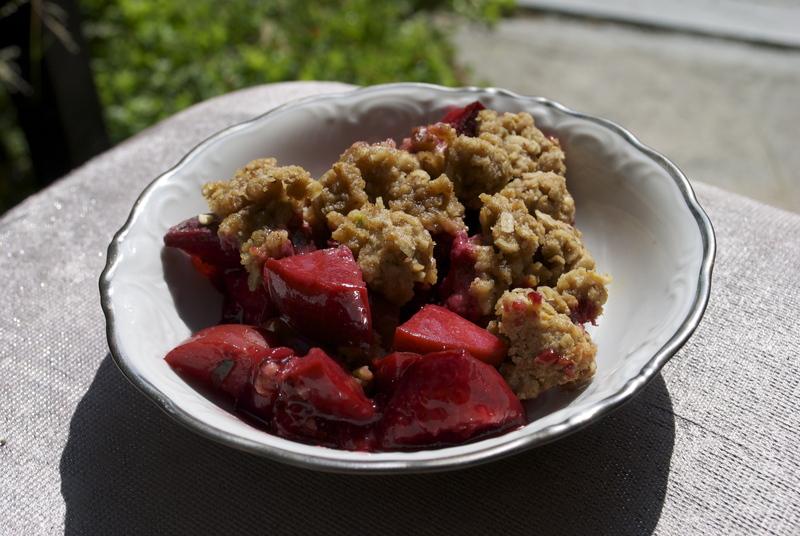 The farmer’s market is bursting with plums, so I bought a couple of pounds along with some fresh tarragon and made a crisp. Preheat oven to 400°F. Toss plums with all ingredients listed up to the tangerine juice. 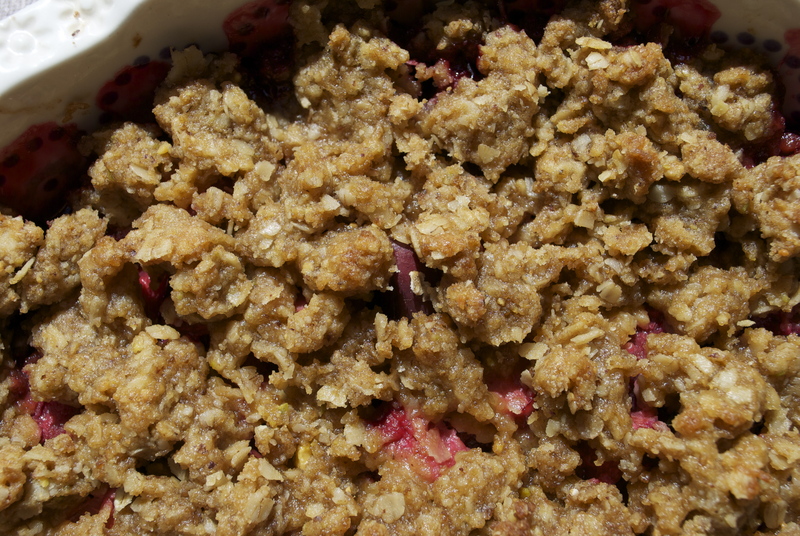 Toss the plums well and pour them into an 8″ baking pan of your choice. ← Heywood Grilled Cheese Shoppe. This looks pretty good! Today I bought some Stevia (no-calorie, natural) sweetener, so I can try a few more of these delicious fruity desserts- – will let you know how they turn out!